Vera Bradley offers 50% off Select Styles of their Bags, Wallets, & Cases. Shipping is a flat-rate $5. This is the last 2 days for customers to get 80% off most Restaurant.com purchases through 4/30/11! Your can get most $25 gift certificates for $2, PLUS gain entry into the Resaurant.com April Sweepstakes! When you're in the mood for good times and great cuisine, be sure to checkout Main Street Pizzeria & Grille. When you're in the mood for good times and great cuisine, be sure to checkout Bacco. Pre Mother's Day outing? Longwood Gardens IS on the list! 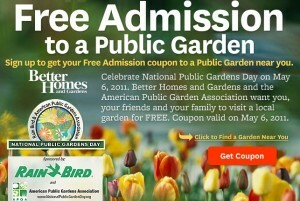 On May 6th, Better Homes and Gardens is sponsoring Free Entrance to Public Gardens nationwide. You will need to print the coupon to get the free ticket. Get more details on the free admission to Public Gardens event here. You will need to register for Amazon Mom (totally and completely free trial subscription) nothing to cancel and no further obligations. I have selected one size below as an example of the price- but you can select whatever size you need. Pampers Baby Dry $19.59- Select subscribe and save on the right hand side to get this price. Grab the $1.50/1 coupon here first (log into your account first and refresh until you see it) or it might be right in the center of your screen. That is .12 per diaper for size 3 or like paying $3.89 for a Jumbo pack and shipping is free! ***If you need Cruisers, Swaddlers size 3, Swaddler Sensitive 3 or 4, or an Extra Protection box there is a $3.00 off coupon. Make sure you are logged into your account to see it and you may need to refresh the page a few times before it appears. Kidsbowlfree.com is starting up again in May. I'd love to hear from anyone who took advantage of the program last year...looks like many locations are participating! As featured on NBC Nightly NewsSelect bowling centers and schools around the country are participating in the first ever Kids Bowl Free program. This program is designed by bowling centers to give back to the community and provide a safe, secure, and fun way for kids to spend time this summer. Touch of Tennis is a free clinic open to special needs individuals at any age. It is run by GMC head tennis coach Jim Holt, and is supported by a melting pot of volunteers, including student volunteers from Gwynedd-Mercy College, as well as from other colleges, universities and high schools. Students from more than 30 schools are involved. Through the clinic, special education students at GMC are provided with an opportunity to interact with special needs individuals right on campus, and many choose to participate again because of the companionship that they gain through the experience. The United States Tennis Association (USTA) awarded its 2010 National Adaptive Service Award to Gwynedd-Mercy College’s tennis clinic. If you'd like to try it, right now you can order a Free Dove Ultimate Go Sleeveless Sample. You will need to login or register as a Dove Insider to get this free sample. Head here for a free Dove hair care offer, too! $10 off $10 coupon good at any Aerie store! "Like" Aerie on Facebook and you'll be able to print a $10 off $10 coupon good at any Aerie store! You should be able to score something for free with this great coupon! Wow! Amazon has FlingSmash for the Wii with a Bonus Remote Plus inside for just $24.99. The cost of the Wii remote alone is $39.99 at Walmart. This is a great deal. The game is currently temporarily out of stock, but you can still place an order. If you need a filler for free shipping, try this Avery Permanent Glue Stic, .26 Oz. (161) for $.53. I know many of you play online games...may as well win a prize. If you enjoy Wheel of Fortune on TV, you've got to check out this new online game. You can win real cash and prizes. I played and lost, so I don't know what kind of prizes are being offered. It was fun and could be addicting! GO HERE to play! 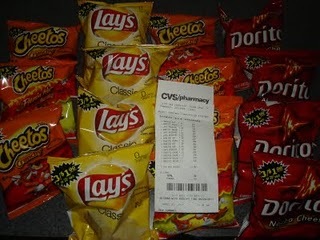 If you get addicted, you can blame it on Moneysavingmadness.com who alerted us to this! ha! CLICK HERE to print a $10 off $25 JC Penney Printable Coupon! Good in-store or online and valid through 4/30. 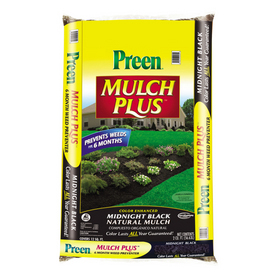 I am obsessed with black mulch! I love it! Only it looks terrible if someone blows grass clippings on it. 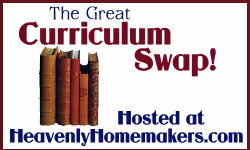 Laura from Heavenly Homemakers is hosting a Free Curriculum Swap over on her blog for those of you who homeschool. Stop by and see if there are any items which interest you. You only have to pay the cost of shipping.thanks, moneysavingmom! Print a coupon for $1.10/1 any bag of Tidy Cats Litter. Walmart stores reportedly have the 10-lb. 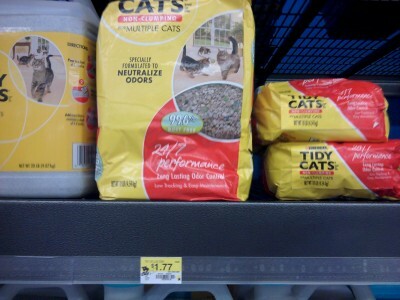 bags of Tidy Cats Litter priced at $1.77, making them just $0.67 each after this coupon.thanks, moneysavingmom! 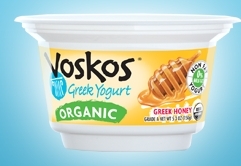 There is a new $1/1 Voskos yogurt printable available. The single cups are usually priced at $1.19-1.29 at Whole Foods. 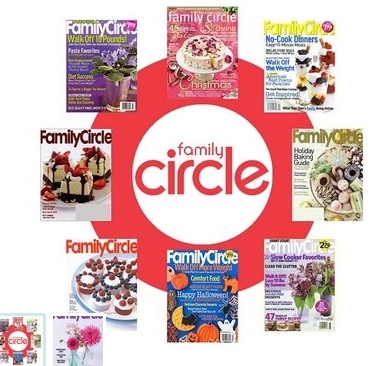 Family Circle magazine is on sale from Tanga right now for $3.99 for 1 year. That is for 15 issues and you can get up to 4 years at this price. Just head over to Tanga and add it to your cart at $20. Then use code: FAMILY at checkout. The price should be $4! CLICK HERE to print a Buy one get one FREE Honest Tea or Honest Ade 16 or 16.9 oz coupon (up to $1.99 value)! CLICK HERE to print a $0.50/1 Scotties Facial Tissue coupon!! FREE tissue boxes if your store doubles!! Macy's is having their Friends and Family sale going on through May 2, 2011 and is offering 25% off orders. For online purchases, use coupon code MACYSFF & in stores, save with this printable coupon. PetSmart is offering a $5 off $25 coupon to the first 1,000 to print it! Make the most of this coupon by stacking it with manufacturer's coupons! PetCo may also take this coupon as a competitor's coupon. Use it by 5/1/11. thanks moneysavingmadness! BrylaneHome.com marks down the 10" x 10" Portable Canopy from $79.99 to $39.99. Better yet, code BHAFFDIS drops to $29.99. With $14.99 shipping, that's the lowest total price out there. I think I have heard that New Balance works well with orthotics....anyone? Joe's New Balance Outlet drops the price of the Women's New Balance 500 Running Shoe from $69.99 to $31.49. Better yet, shipping is currently free on all orders. These shoes feature mesh uppers and a non-marking sole and are great for occasional runners. Sales tax is charged in most states. Puritan's Pride: Buy 1 Get 2 Free! PuritansPride.com offers Buy 1 Get 2 Free Vitamins.Women's Multivitamins are 3 for $6.99, so you get enough tablets for 3 months. Men's Multivitamins 100ct are 3 for $9.99. Another great option is the Bone Support Formula, which gives a half-year's supply for $16.99. Bone and Heart Formula is 3 for $4.99. Shipping starts at $4.95 and sales tax is only charged in NY. CLICK HERE and go to the Pretzel Crisps facebook page, “like” them, then click on the “Coupon” tab to print a Buy one get one FREE Pretzel Crisps 6-7.2 oz. bags coupon PDF (expires 5/31/11). Hurry over to Facebook and request a free sample of Folgers Coffee. Note: This requires the Facebook app to be installed. On April 27th, head to 31 Cent Scoop Night at Baskin-Robbins and help honor America’s firefighters. Baskin-Robbins is donating $100,000 to the National Fallen Firefighters Foundation™ (NFFF). Head HERE on Facebook to "like" Ore Ida and watch the video. Afterwards you can fill out a form to be mailed a coupon for a FREE BAG of sweet potato fries! YUM! While you are there, like special savings special needs, too! JCPenney.com has a $10 off $25 code which is valid on on all family apparel, shoes, accessories, jewelry & home thru April 30. Enter code CANTBEAT to receive the discount online. Shipping is around $5.95. Arbys gives a free roast beef sandwich with any drink purchase to those who sign up for the Arby's Extras Club. They will email you a printable coupon that expires on 5/2. Need an extra 20% off? Just head on over to the Lipton Iced Tea Facebook page and click on the "special offer" tab to grab a Lipton Iced Tea Buy 1 Get 1 Free coupon. You will be able to print off a coupon good for a Free 100% Natural 20oz. Lipton iced tea when you buy one. If you would like to try Precise pain relief, from the makers of Tylenol, then you should print this high value coupon first. Just fill in your details and you will get a Tylenol Precise $5 Off Coupon, good for any Tylenol Precise products. 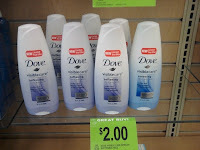 Coupons.com has released a new coupon: Save $3 off any 2 Dove Products "Redeem only at Walgreens 4/25 - 4/30". This excludes trial and travel sizes and 1&2 bar soaps. 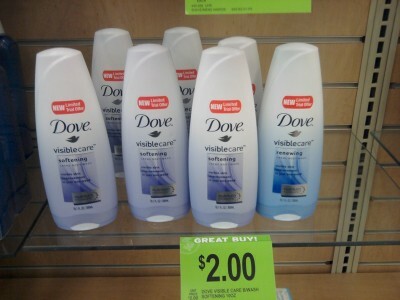 Walgreens has Dove Visible Care Body Wash for just $2 per bottle. Combine that great price with the new $3/2 Dove coupon for a great deal! 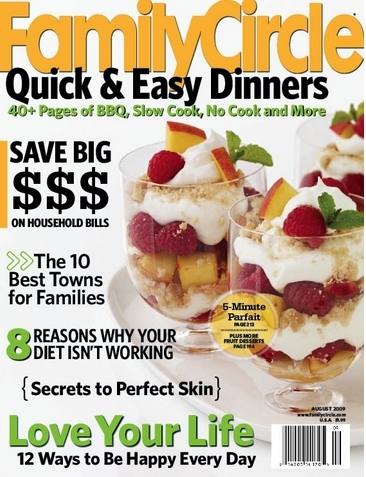 $5 Taste of Home Cookbooks sale! Head HERE to Taste of Home for $5 cookbooks sale! Some were originally listed as high as $25! You can get your entire order shipped for $1 when you use Suite # 2046P. This is just like inputting a coupon code and reduces the normal $5.99 shipping cost to $1! 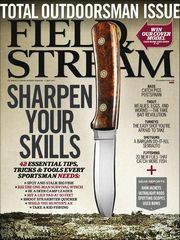 For a limited time you can request a FREE 12-month subscription to Field & Stream Magazine. There are no strings attached and you'll never get a bill. Just fill out the information and skip the offers at the end. This won't last long, so be sure to request this one ASAP! Happy Easter! Enjoy your day with loved ones celebrating our risen Savior!